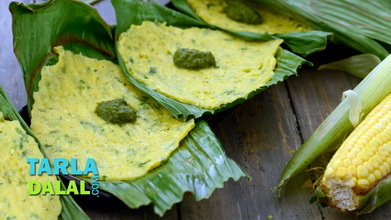 Rice flour pancakes steamed in between banana leaves, are a favourite Gujarati snack. 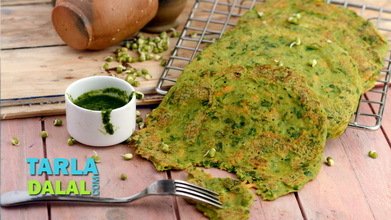 Urad dal flour helps to bind the panki batter and make very thin pankis. 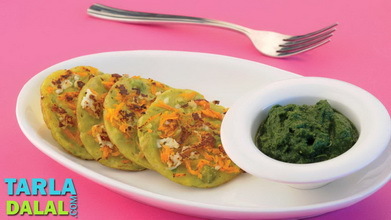 Serve the pankis hot from the griddle and let your guests peel off the banana leaves and enjoy the steaming hot pankis with spicy green chutney. 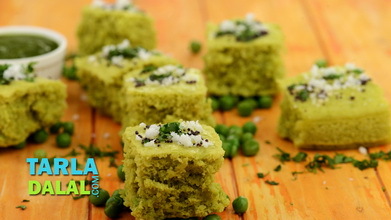 Combine the rice flour, urad dal flour, curds, green chilli paste, cumin seeds, oil, salt and ¾ cup of water and mix well. Keep aside. Cut the banana leaves into a 75 mm. (3") diameter circle using a cookie cutter or with help of scissors. Grease the banana leaves with a little oil and keep aside. Place 2 greased banana leaves on a flat surface with the greased side facing upwards. 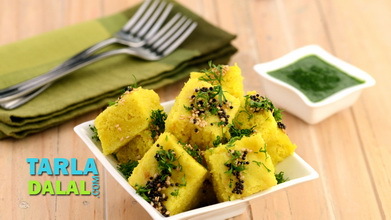 Put 1 tbsp of the batter on each banana leaf and cover each roundel with a greased banana leaf facing downwards. Press it gently to spread the batter evenly to make a thin layer. 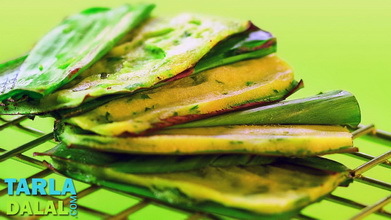 Heat a non-stick tava (griddle) and cook the panki on both sides till light brown spots appear on the banana leaves and the pancake in-between peels off the banana leaf easily. 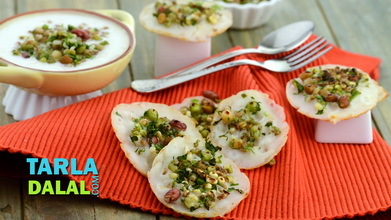 Repeat steps 4 to 7 to make 9 more pankis. 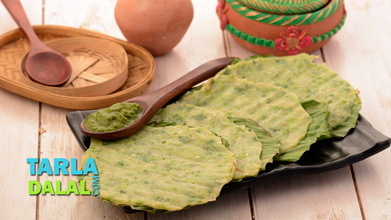 If you do not have a cookie cutter for cutting the banana leaves into circles, cut them in squares and proceed as per the recipe.